Born to an assimilated Jewish family in Berlin’s Charlottenburg District in 1921, Paucker was politicized at an early age; in 1932, Nazis attacked the 11-year-old because his swimming trunks bore the three-arrows logo of the Social Democratic “Iron Front” movement. In 1935, at the age of 15, he left Germany with the Jewish youth group “Werkleute” for agricultural training in Mandatory Palestine. He joined the British Army there and fought during World War II in Italy. After the war, Paucker emigrated to England and began his academic career, focusing on literature in West Yiddish, the language of German Jews before Emancipation. In 1959, he was appointed Director of the newly founded Leo Baeck Institute in London, where he remained for 42 years. 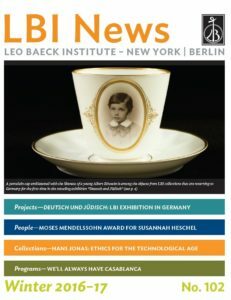 During his tenure at the LBI London, he professionalized the Institute’s Yearbook and established it as the premier international journal for studies on the history of German-speaking Jews. 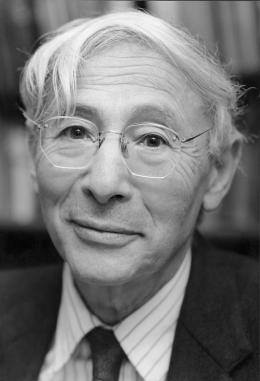 Paucker made special efforts to include the work of younger scholars in the Yearbook and also to work with a new generation of German historians that began to engage with German-Jewish History in the 1960s. He also conducted his own research on Jewish resistance to NationalSocialism, which was widely published and provided a compelling counter-narrative to the myth of Jewish passivity in the face of National-Socialist persecution. Paucker received a doctorate from the University of Heidelberg and an honorary Doctorate from the University of Potsdam, as well as the Order of Merit of the Federal Republic of Germany and the Order of the British Empire, in addition to many other honors.